As a verb, the word rescue is defined as saving (someone/something) from a dangerous or distressing situation; it might be used to define what we do. As a noun, the word rescue is defined as an act of saving or being saved from danger or distress; it might be used to define who we are. Today I read a blog post by Kim Wolf called "Putting our Best Face Forward". Her point was that shelters and rescues have, for too long, used sad stories and pitiful photos to market their adoptable animals. 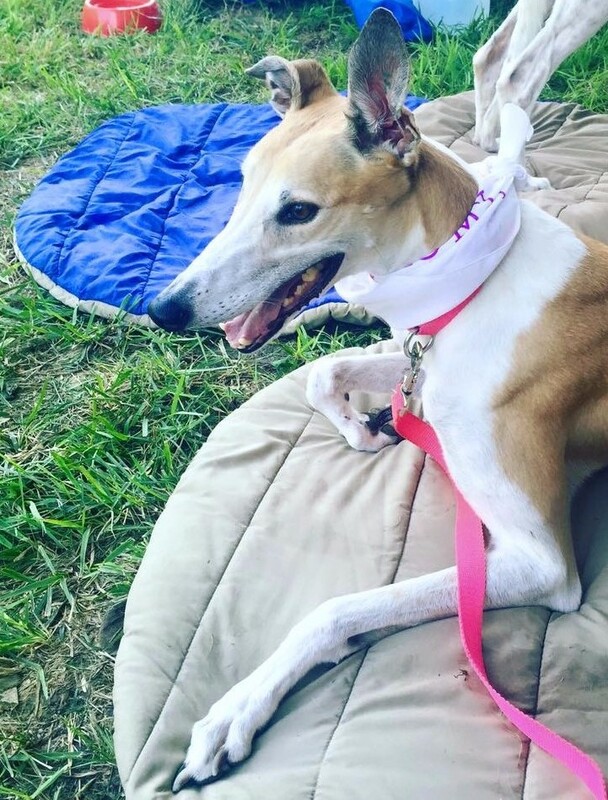 In Greyhound adoption, the word rescue has a lot of power. People come to us to adopt because they've heard the stories and they want to rescue a poor, abused Greyhound. Some members of the racing industry are enraged by the word rescue because it insinuates that they are the abusers when most of them are wonderful people. This year marks the 20th year since I adopted my first retired racing Greyhound. In those 20 years, I've never once thought of one of my dogs as a rescue. This year marks the 10th year since my mother and I started this adoption program. In those 10 years, I've only considered a hand full of the dogs that have visited our program as true rescues. To Ms. Wolf's point, I think our efforts to market our adoptable dogs show that we do not consider them to be hard luck cases. One of our partners likes for us to send them our touching adoption stories. I'm a pretty good story teller but, when trying to think of something that might represent a good "rescue" story I just come up empty. Why? Because I don't think of what we do as rescuing. We educate, we train, we assess, we adopt...not with sympathy or pity but, with a love of watching these dogs become family pets. With the laughter of watching them learn to play with toys. With amusement as they try to explain to you that they don't eat those little crunchy things you're trying to feed them. With amazement as they continue to run lap after lap with that Greyhound smile on their faces. Greyhound people do love to use that word. That word that holds so much power...RESCUE. I love to tell anyone who will listen that the real power in the word rescue comes from what happened to me after bringing home my first, second, third, fourth, fifth, sixth, seventh retired race dog.